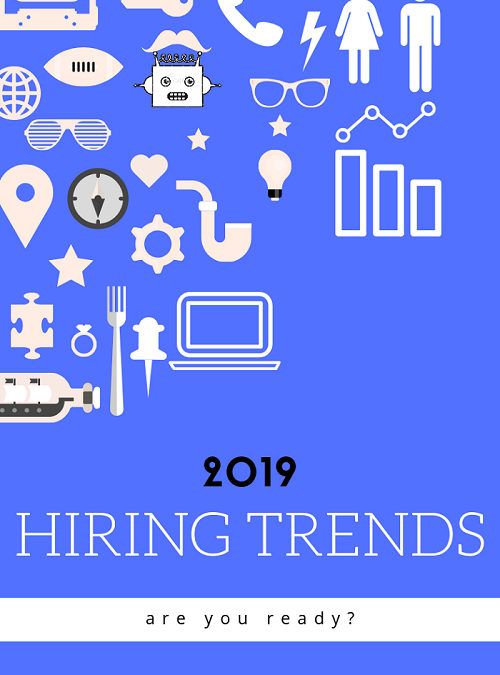 In this post, we identify the most important hiring trends in Australia for 2019, particularly the ones that will shape Healthcare jobs in Australia this year. Every New Year is usually a great catalyst for change. By January, virtually all of us have made New Year resolutions, including the typical promises we make ourselves, like lose weight, quit a bad habit, learn a new skill or hobby, find another job or spend more time with loved ones. It’s also when businesses, including healthcare recruitment agencies, take stock, plan ahead and find out the trends they need to follow to stay at the top of their game. As the trends in hiring for 2019 in Australia will show, while some of the same trends from last year will continue this year, there’s now more that healthcare recruitment agencies need to consider to keep finding and attracting outstanding talent. The healthcare and medical industry accounts for more than 11% of Australia’s total employment and faces unique challenges. Artificial intelligence (AI), data and diversity will still be the main drivers of transformation in recruitment across Australia for 2019. Much the same way they were in 2018, when Jason Laufer, LinkedIn’s senior director of learning and talent solutions for Asia Pacific, discussed them in a Human Resources Director Magazine (HRD)article. But there are now more factors related to them that health recruitment agencies need to consider along with new trends that will dictate how healthcare jobs are created and filled. Read on to find out what this year’s top recruiting trends are concerning local healthcare recruitment agencies and be able to take the necessary actions to keep up with the competition. Expect AI to take over repetitive recruitment tasks, like identifying, assessing and engaging candidates, sooner rather than later. Not only because it’s becoming more and more sophisticated, but also because it’s increasingly being used for recruitment, as supported by a growing number of Australian hiring managers. Last year, 33 percent of them—a third— believe it will transform the way companies understand candidates’ needs and acquire talent, according to HRD. To properly carry out the entire recruitment process, healthcare recruitment agencies in the country need to focus on the aspects that require a human touch, like building relationships and making informed hiring decisions. Otherwise, even with the help of AI, there’s no guaranteeing they can get the best possible candidates. You’ll need to start making the shift as early as possible this year. The healthcare industry is projected to grow further over the next five years, making the competition for talent even fiercer. There are a lot more sources of candidates available to healthcare recruitment agencies than ever before. According to the Health eCareers 2018 Recruiting Trends Survey, aside from “aggregators” (e.g., Indeed and Simply Hired), individual health care association sites and social media, which are the most popular, there are general job boards, healthcare recruitment sites, provider recruitment sites and health care news site like MedPage Today. Hundreds of sites are created every minute, so there will surely be more sources of candidates for healthcare jobs in Australia this year. Each provides a wealth of information on potential candidates. The recruiters who can use not only the data but also insights from others along with their own will have an advantage over the competition. Australia has a rich cultural diversity. According to the Australian Human Rights Commission, one in four of the country’s 22 million people were born overseas, 46 percent of which have at least one parent who was also born overseas. It’s no surprise then that we’re the second highest country after South Africa to prioritise diversity in hiring as of last year, according to HRD. For proof, just take Australia Post. According to the 2017 Australia Post Diversity and Inclusion Annual Report, their diversity profile is made up of 12,828 women (36.7 percent); 7,829 culturally and linguistically diverse (CALD) people (22.4 percent); 1,674 persons with disability (4.8 percent); 643 Aboriginal and Torres Strait Islanders (1.8 percent); and 326 LGBTI+ (0.9 percent). Aside from that, a whopping 85 percent of Australian talent-acquiring leaders and hiring managers last year said that diversity was the top trend that affected how they hired, according to HRD. Considering this, Australians’ openness to diversity in the workplace and, according to Deloitte’s 2019 Global Health Care Outlook, the rising demand for health care services, we expect even more healthcare recruitment agencies to make it a point to hire candidates from diverse backgrounds to fill available healthcare jobs in Australia. Due to globalisation and technological advancement, remote work is on the rise in the country. If you think that doesn’t apply to health care services, think again. According to Deloitte, there are now telehealth and digital medicine tools enabling organisations to build and deploy new “care anywhere” models, such as letting nurses work remotely, while still building strong relationships with their patients. Organisations that don’t offer candidates such benefits could have a hard time attracting and retaining talent this year. Despite the pressure facing Australia’s healthcare and medical sector, its performance is among the best in the world, however, according to Health eCareers, it was difficult to fill available healthcare positions last year due to lack of qualified personnel. This year, the problem will persist but will be exacerbated by two factors Deloitte mentioned in its study, namely an aging workforce and automation. To meet the demand for healthcare professionals, healthcare recruitment agencies can increase advertising and broaden their reach to a wider geographic area.The retirement of older nurses is another challenge as more mature-age nurses leave the workforce there’s now a knowledge gap. Career progression and flexibility/work life balance strategies are key to healthcare career recruitment. Furthermore, sourcing qualified candidates in regional areas in Australia is already an all-encompassing trend this year in the healthcare field and across other industries. Aged care is evolving to reflect the changing expectations of seniors who are increasingly not accepting the traditional nursing home that ‘grandma lived in.’ This isn’t a new trend but nowadays, the search for aged care jobs means healthcare recruitment is adopting new approaches to fill healthcare positions in aged and assisted living. Every single organisation in the healthcare sector relies on the work of the dedicated people who make up the team. With current and upcoming foreseeable challenges, strategies for recruitment are evolving, and we can certainly help. Healthcare departments are only increasing in size due to the ageing population and with an increasing awareness of health and wellbeing in the general population we understand there is definitely a large demand for qualified healthcare employees.